Following the strikingly successful attack against the Italian naval base in Taranto, the British Admiralty began planning some shifting of forces around the check board and even the passage of a convoy through the Mediterranean. Several proposals were forwarded from London to both Alexandria and Gibraltar and , after some compromising, a final decision was reached; the operation which would materialize these changes would be named M.B.9. Admiral Pond authorized the transferring of the Renown and the Berwick back to England through the Strait of Sicily as part of M.B.9, which called for a complex movement of merchantmen and warships similar to M.B.8. 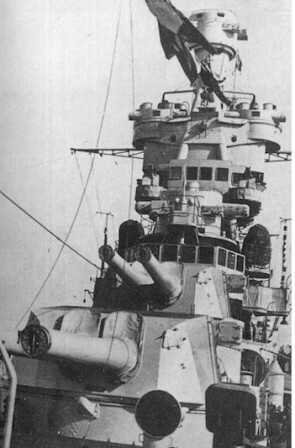 On November 17th, after the attack on Taranto, the Italian fleet went out to sea with the two remaining battleships, the Vittorio Veneto and the Giulio Cesare. Despite having reached Southern Sardinia first, and then Cape Bon, the Italians were not able to intercept a British force tasked with the delivery of airplanes to the much-depleted Malta-based air forces. The British, despite a claim made to the contrary by Sir. Winston Churchill to the House of Common, had to reevaluate their assumed complete destruction of all Italian battleships during the Taranto attack. The convoy from Gibraltar (Operation Collar) would be escorted by Force H which included the battle cruiser Renown, the aircraft carrier Ark Royal, the light cruisers Sheffield and Despatch and the destroyers Faulnor, Firedrake, Fury, Forester, Duncan, Wishart, Encounter, Kelvin and Jaguar. Missing from this battle group was the Royal Sovereign still under repair. Force H was under the command of Adm. Sommerville who was very well aware of the threat represented by the Italian Navy. This fear was very well founded; on the 16th of November, during operation "White", Sommerville lost several aircrafts to both poor navigation and the presence of the Italian Fleet. After having received notification of the presence of the Italian Navy at sea, Sommerville quickly reversed direction and returned to Gibraltar. Although there was no contact, the presence of the Italian forces achieved its desired effect. Nevertheless, Somerville fear caused the subsequent operation to become more complex, requiring a combined operation of both the Gibraltar and the Alexandria-based fleets.